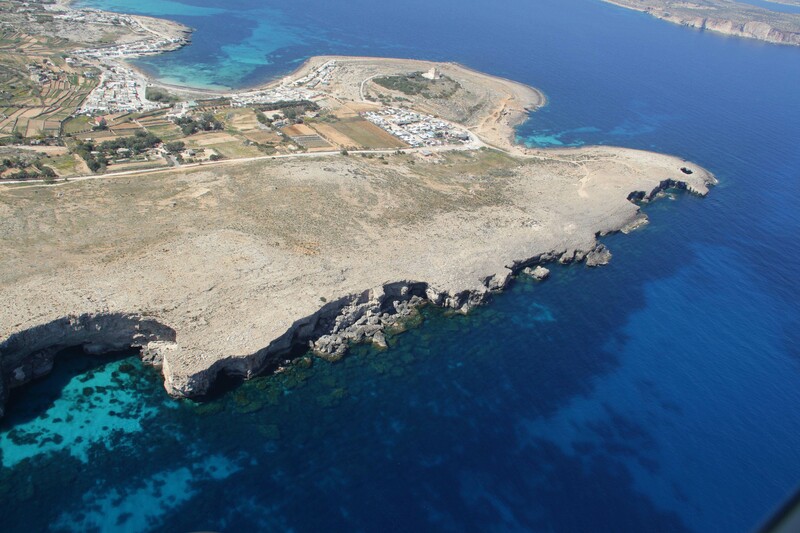 BirdLife Malta condemns the approval by the Environment & Resources Authority (ERA) and the Planning Authority (PA) of the relocation of tuna fish farming cages from an area close to Comino to a new site by l-Aħrax tal-Mellieħa, without the authorities requesting the Appropriate Assessment, mandatory under the European Habitats Directive. While BirdLife Malta acknowledges the need to relocate fish farms to cause less pollution to beaches – a phenomenon which has been impacting water quality in various beaches and marine ecosystems – the application approved on Thursday did not carry the necessary prerequisities of siting such developments within marine Natura 2000 sites. In turn, the approval actually sanctioned an increase in the number of fish cages (from four to six) than what was originally permitted at Comino. The application in question relates to a temporary relocation of tuna pens from the south Comino channel to a site approximately 6km offshore near Sikka l-Bajda, until a north aquaculture zone is set up by the Department of Fisheries. The chosen location is within two designated marine Natura 2000 sites which qualify as both a marine Special Protection Area (marine SPA) for seabirds under the Birds Directive, and as a marine Special Area of Conservation (marine SAC) under the Habitats Directive. Article 6 (4) of the Habitats Directive states that Natura 2000 sites require specific conservation measures and if plans or projects do not contribute to the conservation objectives of the site, they will be subjected to an Appropriate Assessment of their implications for the site in question. Plans can be approved only after it has been ascertained that these will not adversely affect the integrity of the site concerned, and, if appropriate, after having obtained the opinion of the general public. In this week’s approval, ERA and PA did not follow this directive by not demanding any impact assessment of the proposed development. In fact, according to ERA, the proposal did not qualify for the need to have an Environmental Impact Assessment or Appropriate Assessment, because the relocation is just a temporary two-year solution. ERA and PA have raised no objection over the fact that the developer in question did not comply with a previous planning permit and have actually sanctioned a larger amount of cages in a new area. While development in the area was scrutinised for the then proposal to erect wind turbines, this time round ERA and PA have not raised similar concerns or objectives. In the end it is unclear what permit conditions have been imposed on the developer to ensure that environmental impacts are contained, and that the developer complies to permitting conditions. BirdLife Malta states that such conditions should be made public.